My guest on today's show was Howard Fullmer. He lectures & teaches at a local college. He also designs and builds sets for infomercials and films. Howard is a very talented designer and I was very impressed by his eye for creativity. I recently had the wonderful opportunity to work with him while filming Provo Crafts "Creative DVD Series" (www.4cricutdvd.com). Howard and I both were hosts of instructional DVD's that centered around the Cricut machine. Howard, also, has an amazing sense of humor! He used this humor to keep us rolling with laughter while we endured long hours on the set. What an amazing experience this was. 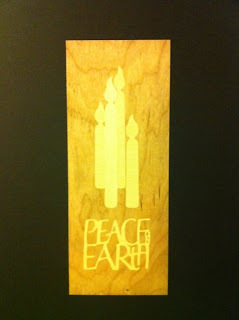 Howard shared with us how he used veneer wood in the Cricut machine to create a beautiful inlaid effect. 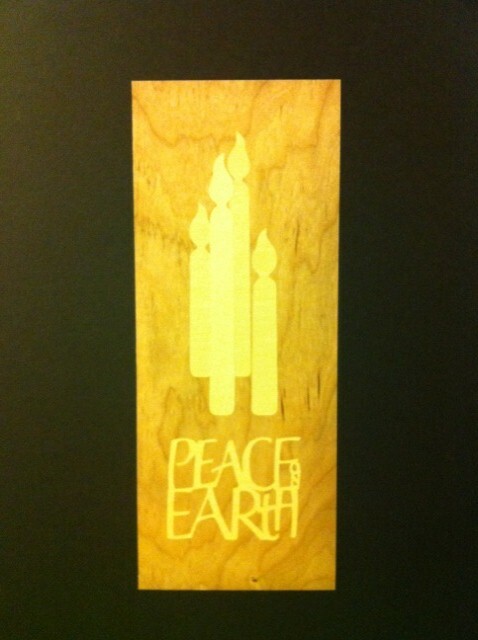 By using two different colors of wood "paper", he cut the same image then simply exchanged pieces back and forth until he had created the look desired. Once this process is complete, you can sand it smooth, stain it, seal it and you have created something unique and stunning! 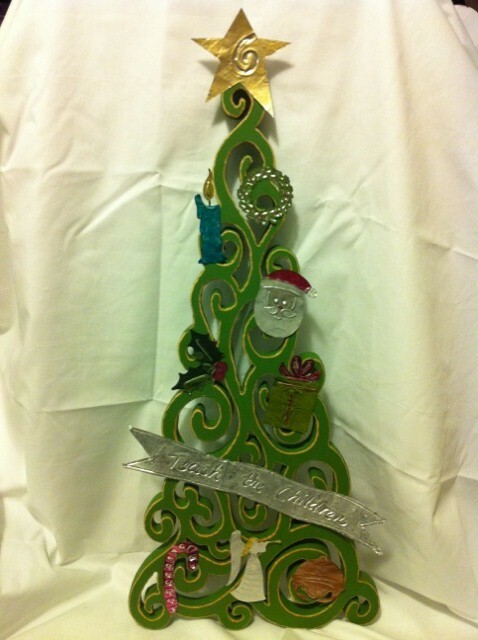 My creation came from taking a Christmas tree cut out and tracing it onto a piece of pine wood. I then used a jigsaw to carefully cut out the delicate tree. I smoothed the edges with sandpaper and an electric sander, painted the tree, sanded the edges again to remove a small amount of paint along the edges and stained the entire tree. I cut ornaments from 40 gauge metal, used alcohol inks to add a bit of color to them and secured them to the tree. Using your own creativity and experimenting with different mediums, can expand your Cricut's ability.